World Land Trust’s efforts to conserve wild populations of Asian Elephants in India will also benefit Bengal Tigers by creating and protecting corridors between wildlife reserves. Despite being one of the most ‘charismatic’ species targeted by conservation efforts, the geographic range of tigers is estimated to have declined 41per cent between 1997 and 2006, and the biggest loss of tiger habitat has occurred in India. 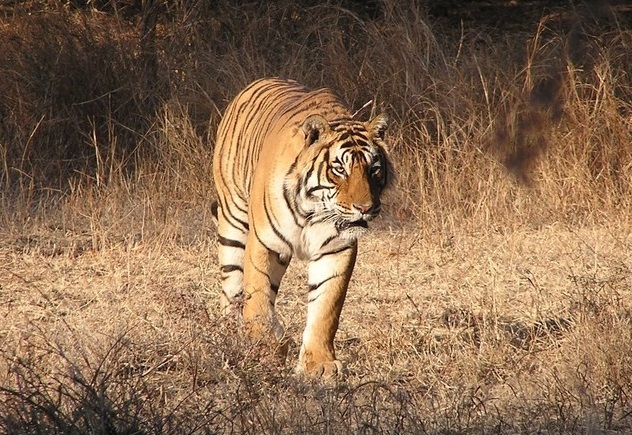 Tracking the number of tigers in the wild has been inconsistent in both location and methodology (there is considerable debate over the most effective way to monitor tiger populations), so the exact numbers of tigers currently living in the wild and the population trends over time are in doubt. However, with the understanding that tigers need to feed, and to avoid human persecution they require large areas of protected land to predate upon wild prey species, it can be deduced that the decline of their geographic range will be significantly affecting tiger populations. At the moment the majority of India’s Bengal Tigers are living within the 49 tiger reserves set up by Project Tiger under the National Tiger Conservation Authority in India. A number of these reserves are also home to Asian Elephants, so a conservation initiative to create and protect corridors between elephant and tiger reserves will benefit both species. Wildlife Trust of India (WTI), conservation partner of World Land Trust (WLT), is working to secure strategic areas within identified elephant migration routes between large protected areas. As elephants have historically migrated across continents, forging paths through forests, mountains and grasslands which are used by countless other species such as tigers, this project has huge potential for the conservation of India’s wildlife. Project Tiger works within ‘Core Areas’ of tiger habitat, reserves and parks which are free of all human activities and ‘Buffer Areas’ of conservation-orientated land use, where wildlife and human populations must co-exist. These Buffer Areas are more controversial, as farms become vulnerable to elephant damage and tigers are targeted by poachers. These ‘Buffer Areas’ are mostly corridors between ‘Core Areas’, and WTI’s vision is to give the corridors better protection by reducing human-wildlife conflict. 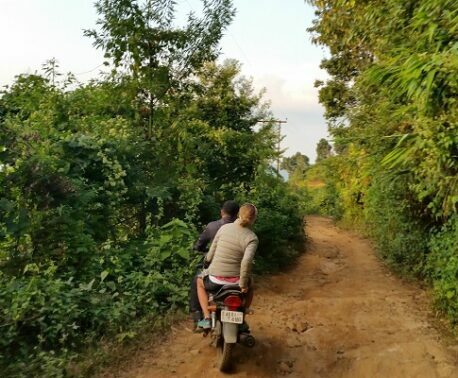 WLT has so far funded the protection of three wildlife corridors, and is now raising funds to safeguard another two: the Siju-Rewak and Rewak Emangre corridors in Garo Hills, and Tirunelli-Kudrakote in northern India. You can support the conservation of tigers and elephants by donating to the Indian Elephant Corridors Appeal, which is raising funds for the Mudahalli corridor in Southern India.